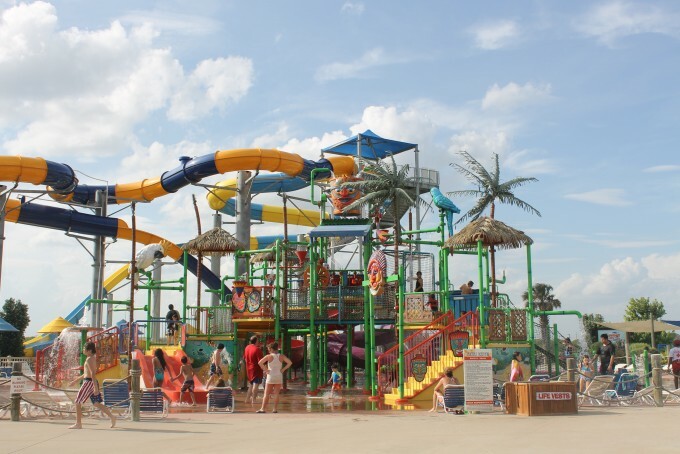 There is one place my children look forward to visiting each summer, and that’s Hawaiian Falls Water Park. With 5 locations to choose from, we packed our swimsuits, towels, sunscreen and towels and prepared for a day of fun! My family was led to our cabana where we were introduced to our cabana girl for the day! I was lucky to get the cabana that is near Kona Kooler, which is the park’s lazy river. The lazy river is always first on our “to-do” list, and there are no objections from me! On our way in, we picked up life jackets, which are free for children to use in the park. 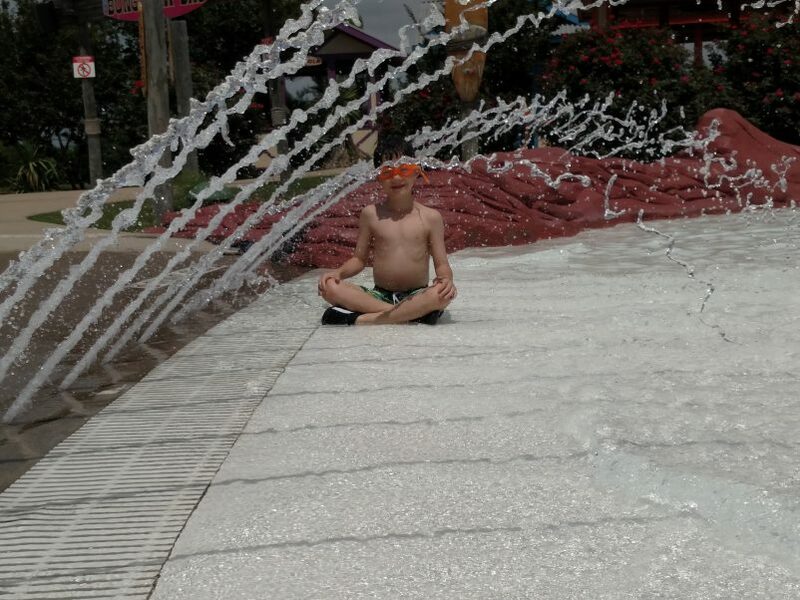 The current in the lazy river was just right, allowing us to “go with the flow” and not sweeping us away from our party, though I felt safe about letting my two older children drift about 10 feet away, knowing there are lifeguard eyes stationed around the attraction. We then headed to the slides, where we had amazing fun! Our favorite ride was RUSH: A slide playing hip music with LED lights that flash as you slide by, though we also liked the HALF PIPE, which is something you have to see to appreciate! Another one of our favorites is Keiki Kove, which is an interactive water rain-fortress with pulleys, ropes, water buckets, slides and a 1,000 gallon dumping bucket. If that doesn’t spell FUN for children 12 and under, I don’t know what does! Another favorite? The snacks! The park has lots of snack options, such as popcorn, snow cones, cotton candy and ice cream! The waterparks are open to the public through Labor Day. 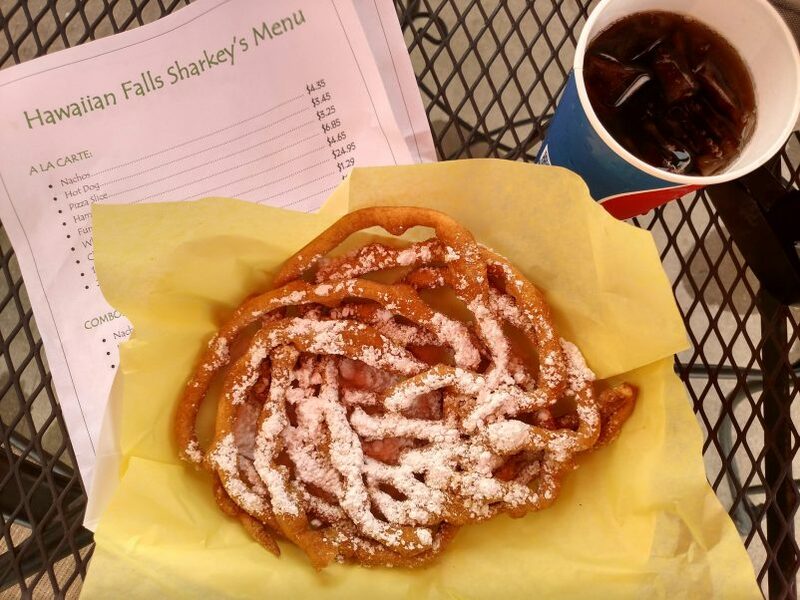 Season tickets, day passes, special events and park information are online at hfalls.com. 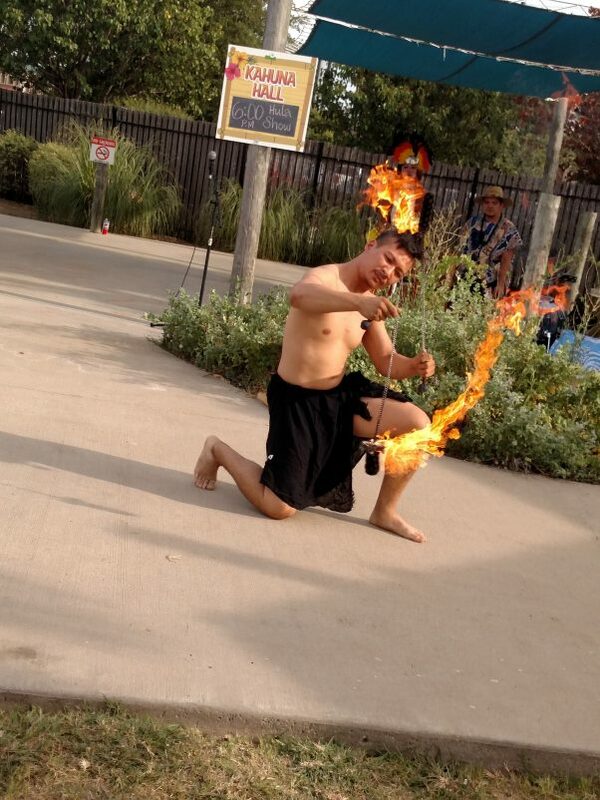 Hawaiian Falls Luau will feature Hula Dancers, Fire Dancers and Steel Drum players. No extra charge for the Luau entertainment — it’s free with a regular day pass or season pass. Hawaiian-style food will be available for purchase. For guests with special needs, Champions Day gives special needs guests free admission ( Immediate family members/caregivers can get discounted tickets — $10 each for up to 4 people) with exclusive use of the park from 8:30 am – 10:00 am. Families are welcome to stay all day. Special needs individuals and their families will have exclusive use of the park from 8:30 a.m. – 10 a.m. 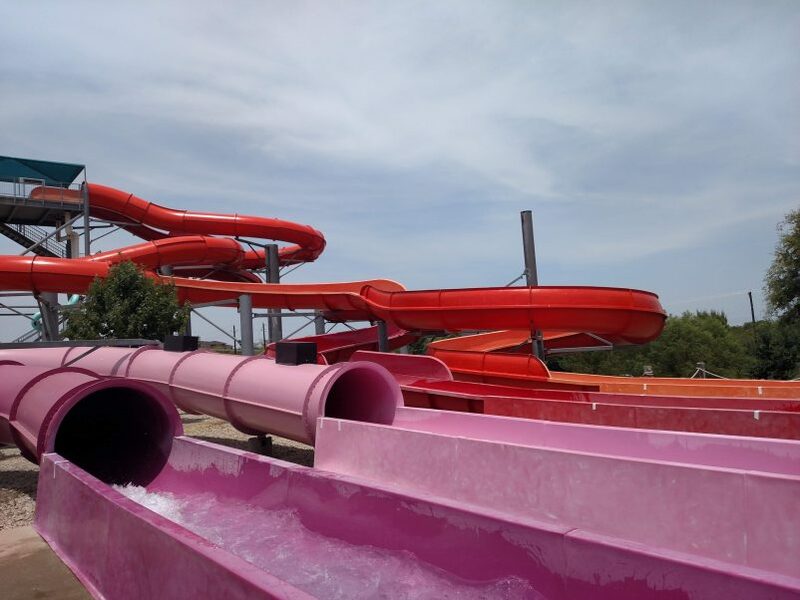 The parks will open to the public 10:30 a.m. – 6 p.m. To be sensitive to the Champions’ needs, Hawaiian Falls turns down the music, adds more staff to assist families, and asks staff to be thoughtful about using their whistles. 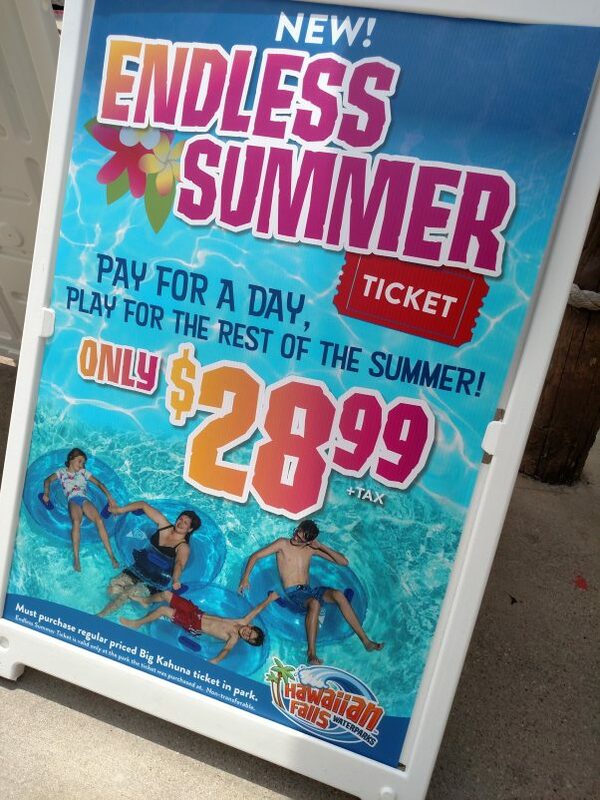 Hawaiian Falls is offering school workers one last splash at all waterparks before returning to the classroom! Teachers, administrators, aides, custodians (anyone with a school ID) gets FREE admission with the purchase of a Big Kahuna ticket from July 29th through August 4th. During Heroes Week, Military and First Responders get FREE general admission at all waterparks by showing their badge. Each Hero can bring up to four guests for $21.99 each. Hawaiian Falls Luau will feature Hula Dancers, Fire Dancers and Steel Drum players. No extra charge for the Luau entertainment — it’s free with a regular day pass or season pass. Hawaiian-style food will be available for purchase.